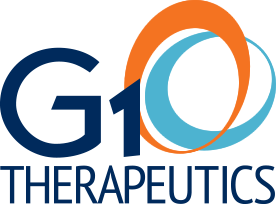 G1 Therapeutics is a clinical-stage biopharmaceutical company focused on the discovery, development and commercialization of novel therapeutics for the treatment of cancer. We are advancing a pipeline of potential best-in-class and first-in-class drug candidates in multiple oncology indications. G1 is based in Research Triangle Park, N.C. For additional information about G1, please visit www.g1therapeutics.com.